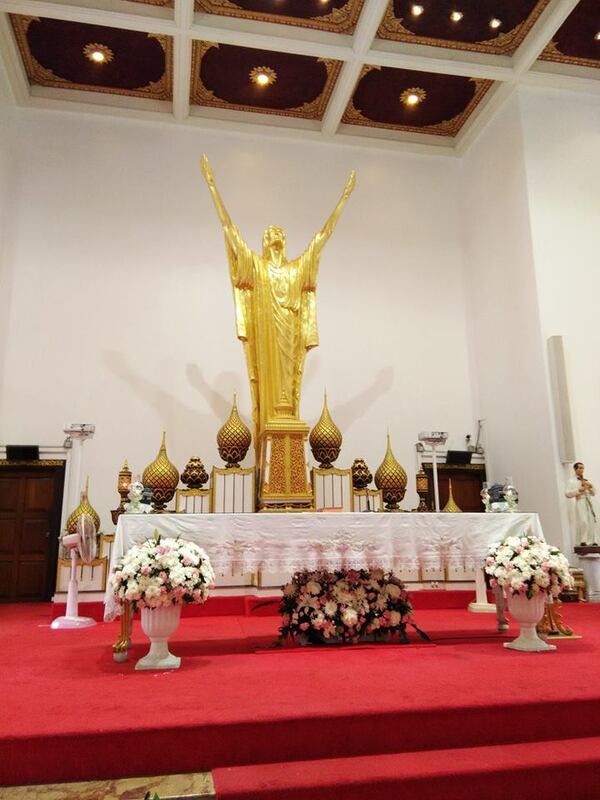 We received the following report from Mr Ryan Kullavanijaya, a Romanian Greek-Catholic born and raised in the U.S., but currently living in his paternal homeland of Thailand, concerning the recent celebration of the first ever Greek-Catholic Divine Liturgy in that country. 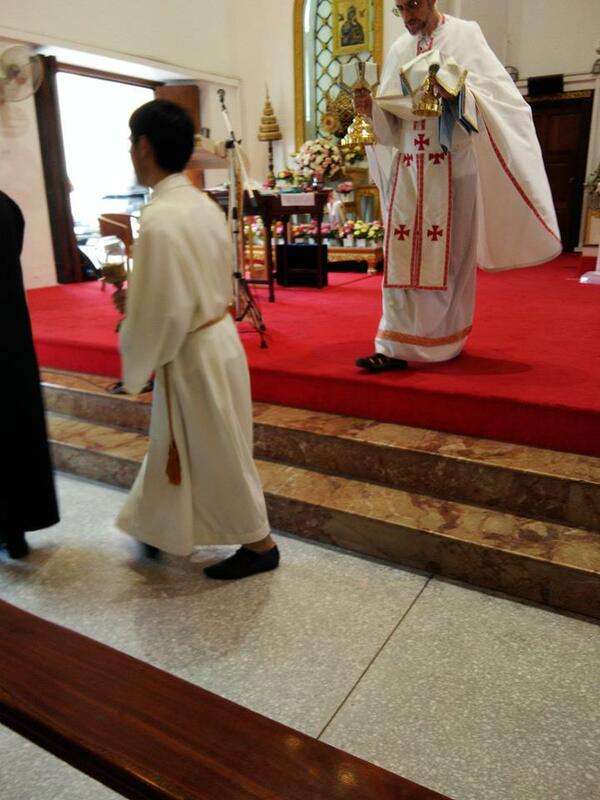 Photos below courtesy of the Greek-Catholic Society of Thailand, reproduced with permission from their Facebook page. 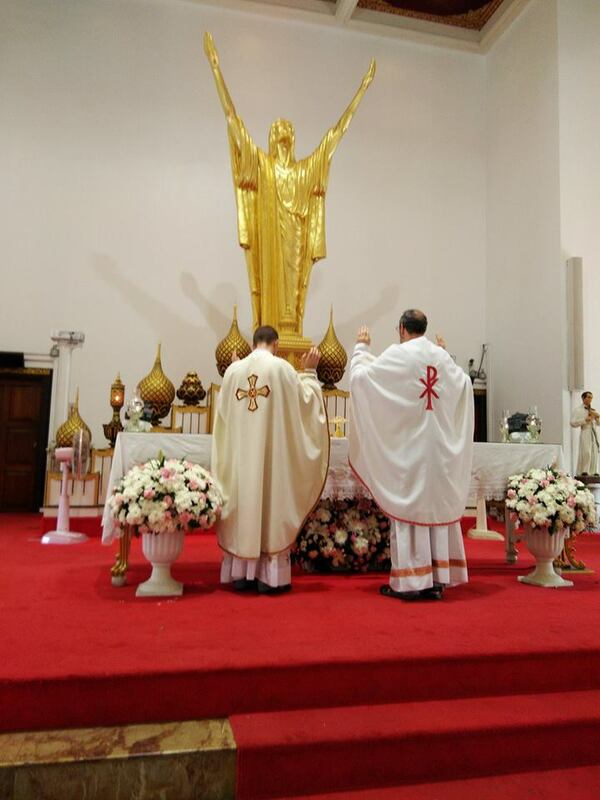 We congratulate them on their efforts to spread the Gospel though the beauty of the Byzantine liturgical tradition, and pray for their continued success. 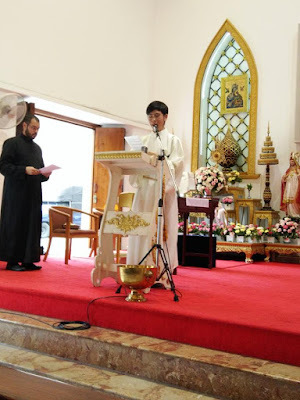 Through the prayers of the faithful in Thailand and of many supporters abroad, I worked with several others to launch the Greek Catholic Society of Thailand here in Bangkok in 2014. Slowly but surely, we have been able to reach out to many Thais and foreigners alike here, teaching them about our Catholic Faith and inviting them to pray with us. Nevertheless, this was purely a lay apostolate with little oversight or support by the clergy. 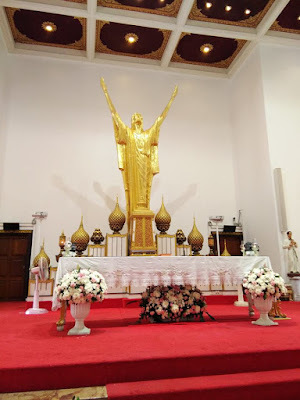 Yet, in a miraculous turn of events, we were informed (via an Indonesian friend in Australia) that at least four Greek Catholic priests of the Redemptorist Order were attending international meetings this year in Pattaya, Thailand. 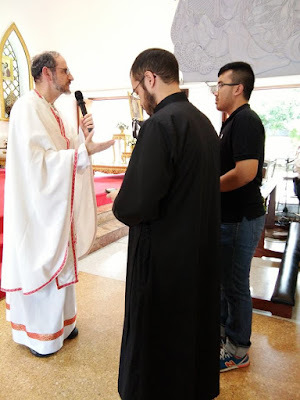 After playing phone tag with the priests to learn their liturgy schedule, a small contingent of our Society made the journey to Pattaya to meet these priests and to attend their liturgies. While in Pattaya, we invited the priests to Bangkok to celebrate the Divine Liturgy and to meet our small but growing community. 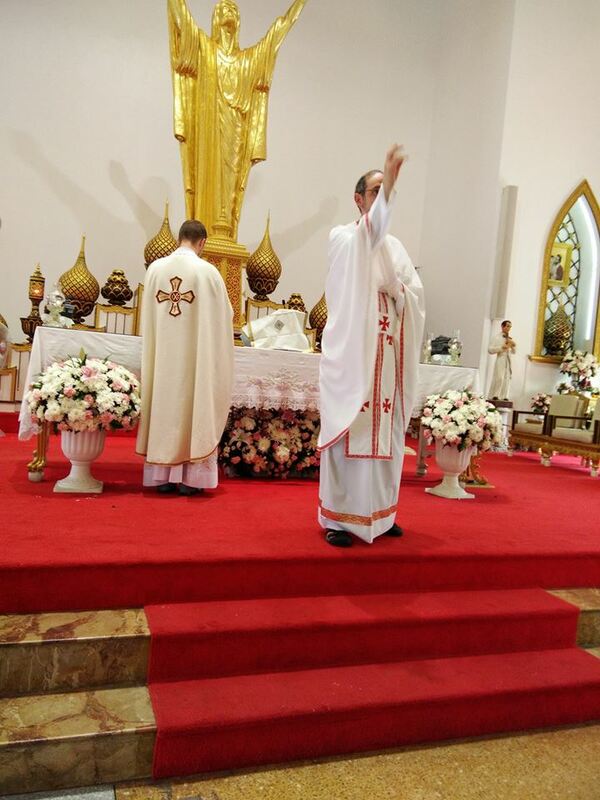 After making some changes to their schedule and securing the permission of their superiors, three of the Ukrainian Greek Catholic Redemptorists agreed to come and scheduled their liturgy for November 20th. Our Society launched a large media campaign via Facebook, our blog, and word-of-mouth. In less than a week, hundreds of people around the world had heard about our upcoming liturgy and passed the word on to others as well. 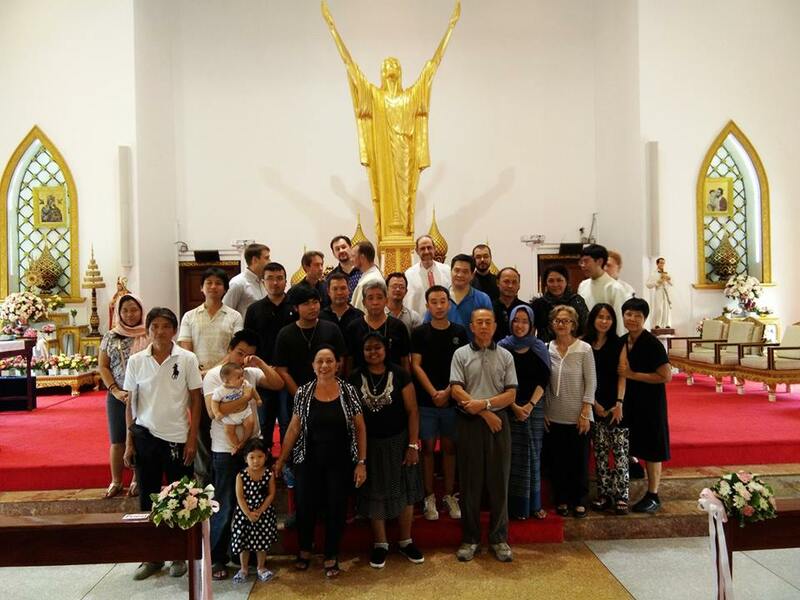 Even so, only about 10-15 individuals confirmed their attendance directly to us or via the official Facebook event. 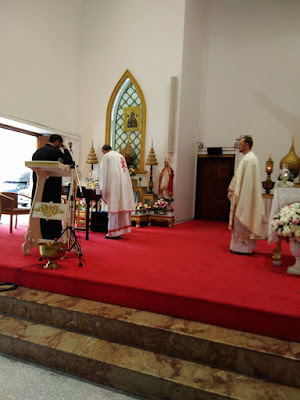 We baked prosphora, translated the liturgy propers, printed bulletins, and made other preparations for about 50 attendees, just in case the number more than doubled. 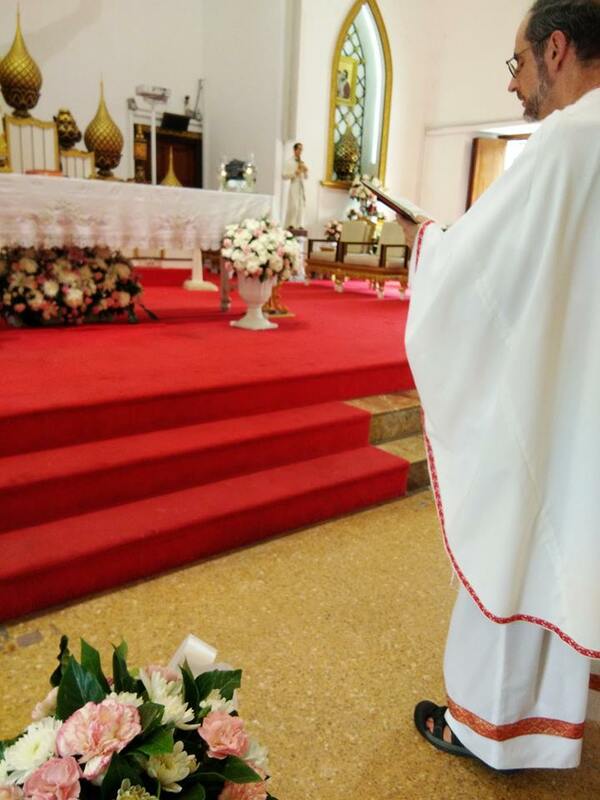 When November 20th came, we were shocked to discover that roughly 70 souls turned up to attend the liturgy and to worship the Trinity with us. 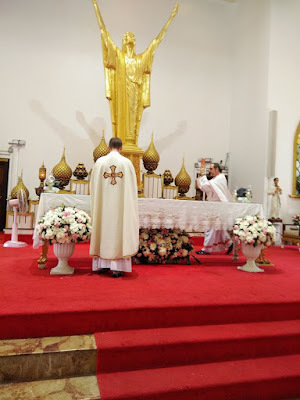 Ukrainians, Americans, Filipinos, Pakistanis, Thais, and others attended the liturgy and were overjoyed to have the opportunity to participate in a Byzantine Rite service. 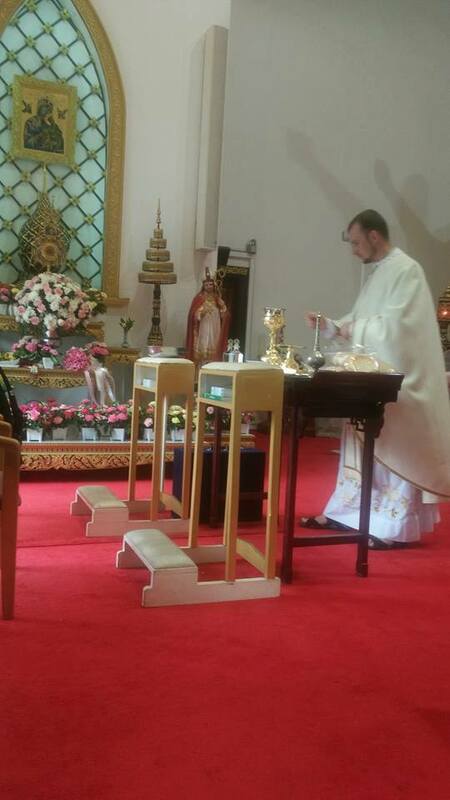 As this was the first known Greek Catholic liturgy in Bangkok (and the first ever public Divine Liturgy anywhere in Thailand), it was new and mysterious to many, but everyone took to it quite well! To add success to success, we also had several Orthodox Christians visit the liturgy. 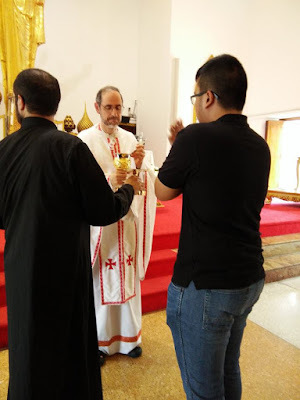 One has been undergoing catechesis with us for almost one year now, and he was formally received into the Catholic Church during the liturgy through sacramental confession and profession of Faith (public recitation of the Nicene Creed). 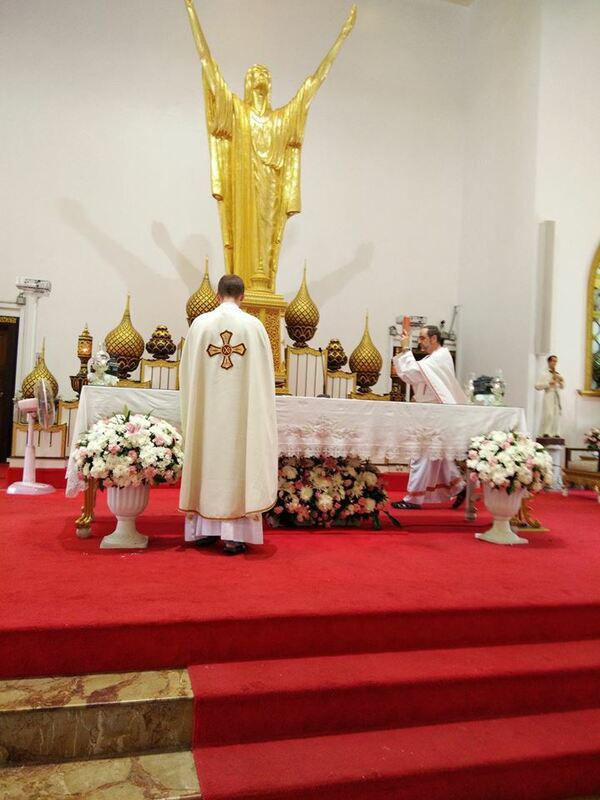 Glory to God for all things! 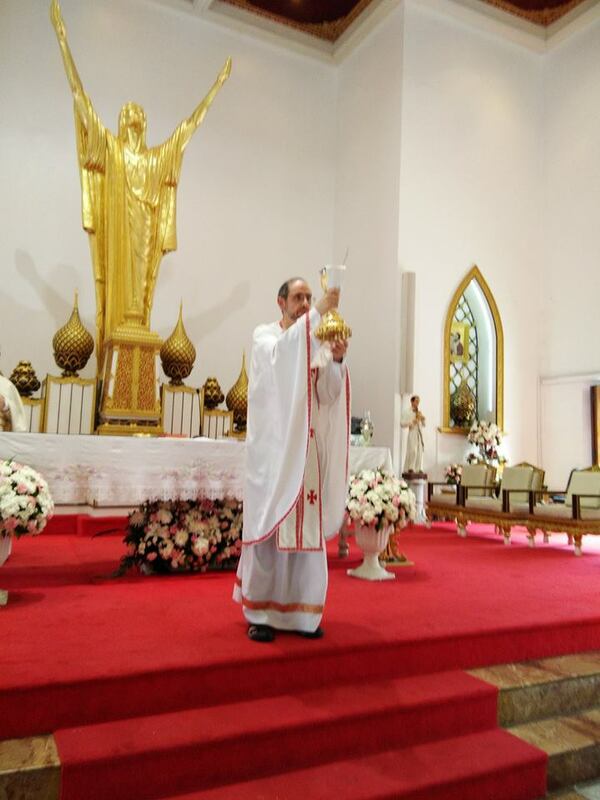 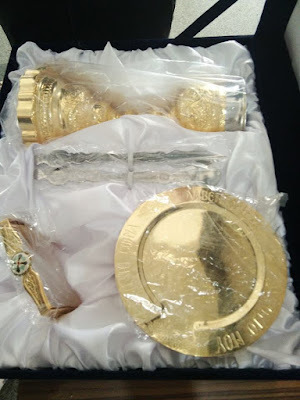 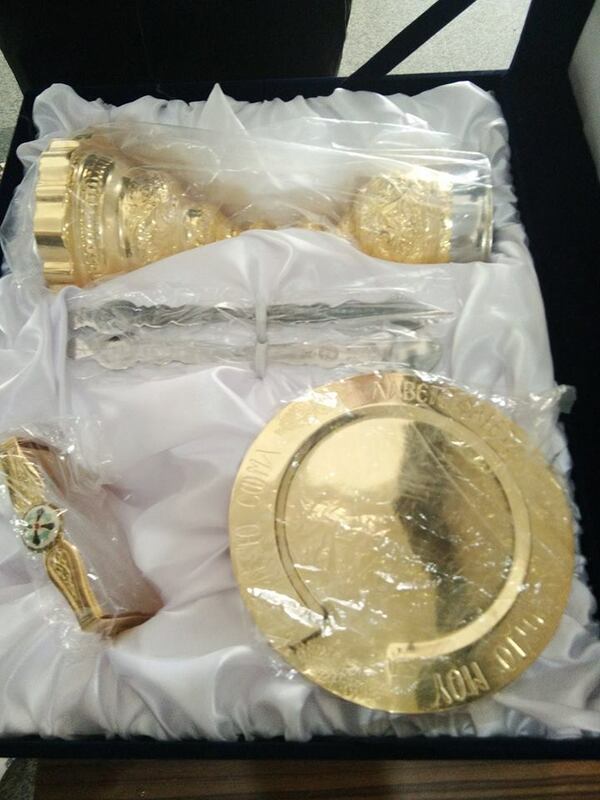 A new set of Eucharistic vessels bought for the occasion. The mysteries are brought to the table of the preparation, where the remaining portion is consumed by one of the priest, and the vessels are cleaned and purified.